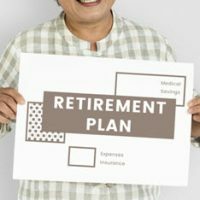 Pension benefits and money in Roth IRAs, 401ks, or other retirement accounts play an important role in your future well being and financial security. When getting married, whether it is for the first time or after a previous divorce, it is important to follow some simple asset protection strategies to preserve these accounts, ensuring the funds they contain are available when you need them. While discussing such matters with your future spouse may feel awkward, it can help open the lines of communication and ensure that both of you are on the same page when it comes to financial planning. Whether you are a younger person who has just begun working and saving money in retirement accounts or you have put in years to accumulate these assets, it is important to be aware of how these benefits are viewed in terms of your marriage. Once you officially ‘tie the knot’, any money or property earned, acquired, or otherwise accumulated from that date will be considered marital property, meaning that it is fair game in the event you and your partner eventually decide to file for a divorce. Allows honest communication about spending habits, future financial goals, and retirement planning. Makes sure heirs other than your spouse are also provided for, such as children from previous relationships. If you are already married, it is not too late. A postnuptial agreement can accomplish many of the same purposes. At Cavallo & Cavallo, preserving your current and future financial security is our top priority. To discuss how to protect your assets and the potential consequences your marriage could have on estate plans, reach out and contact our New York asset protection attorneys to request a consultation in our Bronx or New Rochelle office today.